These lab grown diamond hoop earrings are styled in 14k gold. The white round diamonds are secured in between the metal grooves, without any visible space between them. Sophisticated and modern as they look, these earrings have a distinct charm. 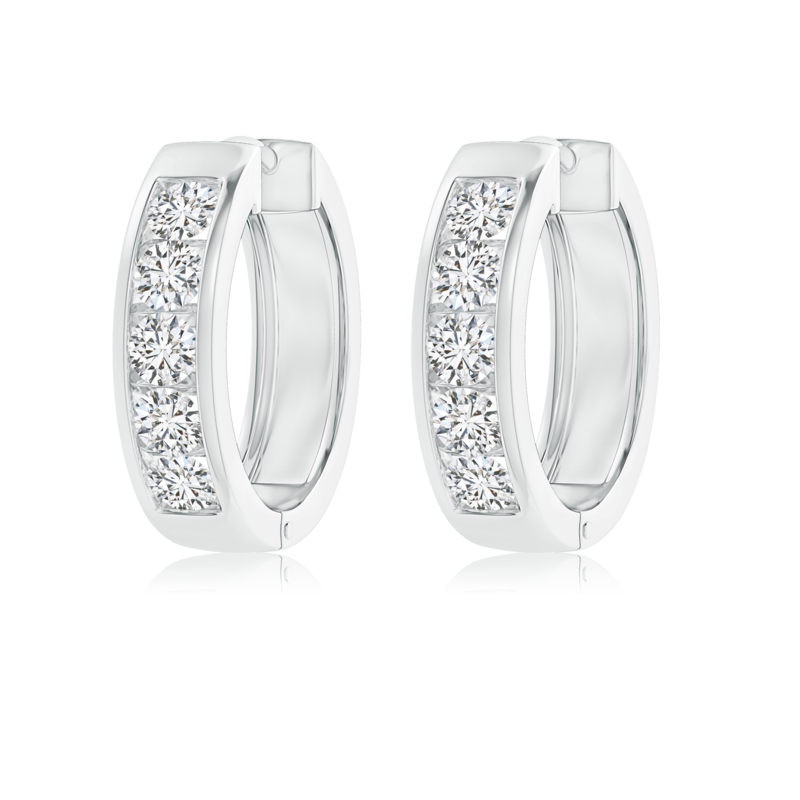 One of the oldest styles of jewelry, hoops have been around for decades. Its usage dates back to different cultures and the first ever hoop earrings is believed to have belonged to the Sumerian culture. Over the years, hoops have come a long way in terms of appearance, but their shape usually resembles a ring. Modern hoop designs feature diamonds or other gemstones encrusted in them. This style of jewelry instantly draws attention to your face, just like this gorgeous pair of product by Pure Ignis.